Four different police departments have reported bizarre instances in which on-duty officers inexplicably passed out or became sick behind the wheel. 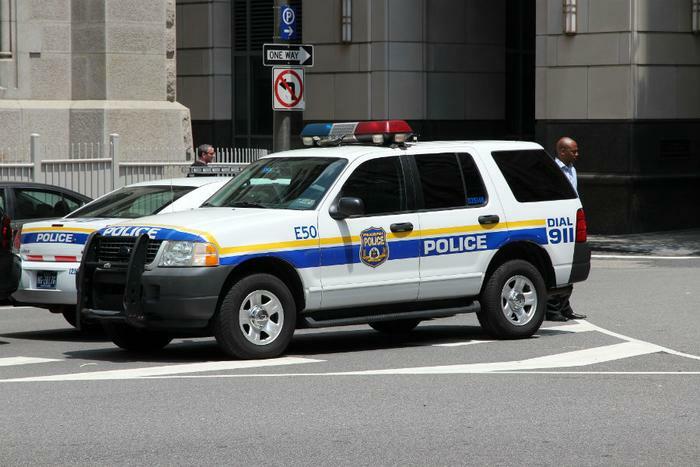 The departments later determined that the officers had suffered from carbon monoxide poisoning, prompting scrutiny of the Ford Explorers that make up police fleets across the country. The news gave new credence to complaints that civilians have made in recent years, claiming that a leak in the design of the Ford Explorer may be causing exhaust fumes to poison its drivers. Safety watchdogs now say they have counted more than 1,300 complaints that Ford Explorer owners have made to the National Highway Traffic Safety Administration (NHTSA) about dizziness, nausea, and vomiting that they regularly experience behind the wheel. But Ford Motor Company has refused to issue a formal recall over Explorers. Instead, the automaker is blaming police contractors for causing the exhaust leaks. The company does not have an explanation for the civilian cases. At all four police departments, officers reported dangerous incidents while riding in Ford Explorers. Marleen Courville, a police officer in Henderson, Louisiana, suddenly passed out behind the wheel of her cruiser last April. Her Explorer flipped in the resulting car crash. In Massachusetts, the Auburn Police Department said that four officers were hospitalized with carbon monoxide poisoning last August. One of the sickened officers had passed out shortly before rear-ending another vehicle. In California, Newport Beach Police Officer Brian McDowell was responding to a call in 2015 when he lost consciousness, causing him to veer across the roadway and crash into a tree. And the Austin Police Department pulled 400 Explorer patrol vehicles from its fleet last July after five officers were hospitalized for carbon monoxide poisoning over a period of four days. Despite these reports, Ford says that its vehicles remain safe and places the blame on the police departments for modifying the vehicles. Ford later agreed to repair the police vehicles, "even though we did not create those holes ourselves." Captain James Thibodeaux of the Henderson Police Department responds that Ford has never inspected the Explorer involved in the crash that injured his officer. He says that the automaker contacted the police department’s insurer about arranging an inspection, but has yet to do so. As for Ford’s blaming the carbon monoxide leak on vehicle modifications, "they can’t make that determination from this point at the case because they haven’t looked at the vehicle,” he tells ConsumerAffairs. Thibodeaux says medical tests confirmed that the officer had suffered carbon monoxide poisoning. After her crash, the police agency installed carbon monoxide detectors in the remaining ten vehicles in its small fleet. The issue hasn’t appeared in the other vehicles, he says. But despite Ford’s public promises to repair police vehicles, Thibodeaux says that Ford has never offered to repair or evaluate the remainder of his fleet. "It’s not like we bought them from Walmart. We can’t just take a receipt and get a different vehicle,” he says. Ford has not yet responded to follow-up inquiries about the Henderson case. As for the civilian cases, Weigandt only says that Ford Explorers are safe, and that dealerships will repair the vehicles if customers are concerned. "We haven't found carbon monoxide levels beyond what everybody is exposed to everyday,” he said. Ford has refused to share the exact level of carbon monoxide that they found in the civilian vehicles, other than saying that the levels are low and the vehicles are safe. But a warning from the Explorer owner’s manual suggests that the issue may be more widespread than Ford is letting on. Ford’s assertions come as the consumer safety group Center for Auto Safety is pressuring the company to recall 1.3 million Explorers, saying they found 1,381 complaints describing exhaust leaks inside of the car. While Ford is offering free repairs, those come too late for people like Brian McDowell, the Newport Beach police officer who crashed into a tree. He says in a lawsuit against Ford that the severe injuries he suffered as a result of the crash have forced him to leave his job. He had worked in the department for 12 years. "I fractured my right orbital, had a traumatic brain injury, injured my neck, my back, dislocated my shoulder, lost part of my sense of taste," McDowell told a local news station. Officers aren’t just suing for crashes. In another lawsuit against Ford, Austin Police Department Officer Ryan Hancock says he suffered permanent nerve damage as a result of carbon monoxide poisoning. Officers often leave their vehicles running while they wait for calls during their shifts, potentially upping their exposure in cars that have the defect. While the science is clear on the dangers of intense, short-term exposure to carbon monoxide, the effects of long-term exposure to lower amounts of carbon monoxide have not been studied extensively. “Short term exposure to high concentrations of carbon monoxide certainly produces changes in intellectual functioning,” says a paper published in the British Journal of Medicine.